I read this article and found it very interesting, thought it might be something for you. The article is called Steve Hoffman, Freedom Socialist Party candidate, turns in 2,669 signatures and is located at https://votesocialism.com/steve-hoffman-freedom-socialist-party-candidate-turns-in-2669-signatures/. On Monday, May 14, Advocates for Hoffman delivered 2,669 filing fee petition signatures for U.S. Senate candidate and Freedom Socialist Steve Hoffman. Hoffman needed a total of 1,740 valid signatures to be relieved of paying the $1,740 filing fee. Turning in more than 50% above the amount needed will ensure that the antiwar Navy veteran will appear on the August 7 primary ballot. 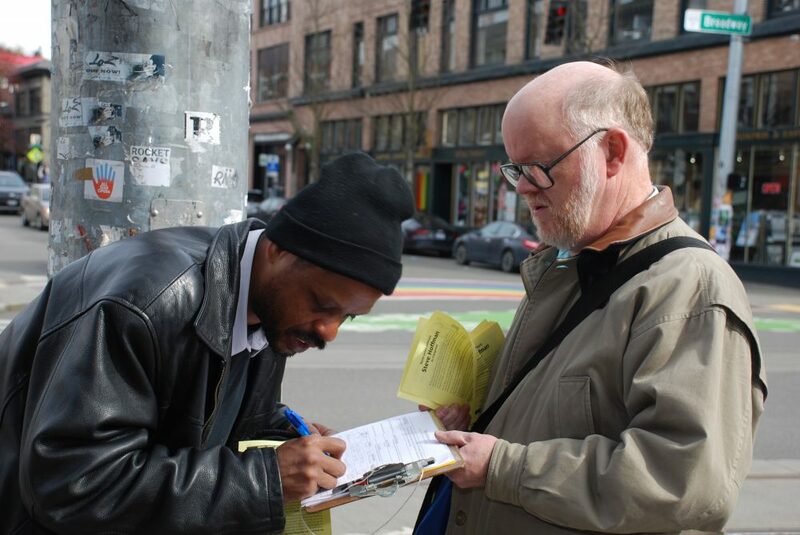 Volunteers from across Washington state collected signatures from voters. Many who signed expressed a desire to see political diversity on the ballot, not just Republicans and Democrats. Other reasons signers gave for adding their names to the petition are the need for Hoffman’s militant defense of effective unions and his commitment to socialist feminism. To interview Steve Hoffman, please contact Campaign Headquarters at 206-722-2453 or email VoteSocialism@gmail.com. Visit our About section for Steve’s biography, campaign platform and stance on current issues.